Once again, in their new edition of a classic American handbook of clinical psycho- pharmacology, Drs. Gelenberg and Bassuk and their colleagues have produced a master- work of sound clinical guidelines for the use of medicines as an increasingly central component of contemporary psychiatric practice. They have recruited an outstanding panel of coauthors, but have managed to maintain a high level of consistency of quality and style throughout the many chapters on specific classes of psychiatric illnesses and their corresponding treatments. 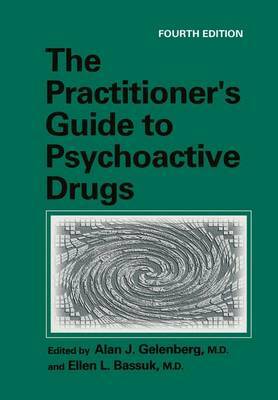 The book continues to encapsulate the clinically rele- vant essentials of the pharmacology of each major class of psychotropic agents in a way that clinicians can easily grasp. Moreover, it provides sound and carefully consid- ered specific guidelines to diagnosis, drug selection, and dosing and patient assessment, with particularly rich presentations on the recognition and management of adverse effects. Inclusion of chapters on pediatric and geriatric populations and on topics pertaining to substance abuse disorders and medicolegal aspects of the field are unusual in books of this kind, and so are particularly valuable. Students and trainees will appreciate the handbook's well-organized and readable style, and practicing clinicans should be satisified with its balanced consideration of older, standard treatments as well as the latest medicines and trends in clinical psychopharmacology, with glimpses into future developments.